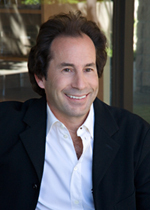 The editors of Dream Builders recently sat down with renowned luxury residential designer/builder Rob Glass to learn more about his design philosophy, influences, inspirations and latest masterwork � Villa Murano just being completed in Shady Canyon. DB: Everyone we�ve talked to � from your clients, which include entertainers, sport giants and captains of industry, to the region�s top real estate agents - says that there is nothing like a �Glass house,� if you�ll excuse the pun. RG: It�s gratifying to be recognized for what is truly our passion. For four generations, our goal has been to design and build the most beautiful, livable, quality custom residences. We like to say that, with Glass Construction, the difference is in the details. We incorporate authentic European materials, antiquities and artisan hand-craftsmanship throughout every room of every Glass home. DB: You�ve created landmark homes in some of the West Coast�s most prestigious enclaves -- Beverly Park, Malibu, Pacific Palisades and Beverly Hills. What brings you to Orange County? 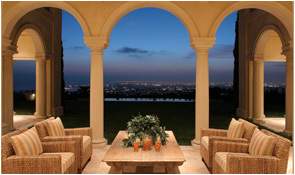 RG: We�ve been designing and building in Orange County for the past five years, including numerous projects in Shady Canyon and Pelican Crest. My father and I immediately recognized the parallels in landscape and lifestyle between Coastal Orange County and that of France and Italy, we see this area as our �niche.� Our designs are at home here in an organic way. Our latest project, Villa Murano, exemplifies this. The residence is evocative of an Italian nobleman�s villa, and the setting - overlooking the scenic Shady Canyon hillsides that are so reminiscent of Tuscany � underscores this ambiance. DB: Who is your ideal client? RG: Someone who is looking for and appreciates the finest in design, workmanship, and livability. Throughout our decades in the business, we have been fortunate to work with a wonderfully diverse group of clients. From singer/songwriters to software company executives, they�ve shared one thing in common - passion. They are as passionate as we are about their work, about their homes and about the process. Like us, they demand the highest quality craftsmanship and materials, uncompromising attention to detail, understated elegance at every turn and the best client service from start to finish. Regardless of whether we serve as both designers and builders, or whether we are working with their architect, our ideal client is one that shares our passions. DB: What is the overall effect you are hoping to achieve when someone enters one of your residences? RG: We strive for that magic moment when they cross the threshold and immediately experience the sense of place we create by bringing the past and present together in a uniquely luxurious yet livable homes. 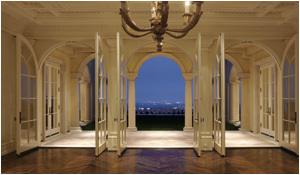 We like to say that there is a difference between mansion and masterwork � and that difference is Glass Construction.